In your own words, what’s your story Janeen? I’m a Licensed Realtor/Real Estate Investor and I’m also a self taught builder. I jumped into the Real Estate and took a chance on myself. I made a lot of mistakes along the way but with every mistake came a valuable lesson and education I couldn’t have learned any other way. Must have been tough learning on your own, but you did it! So, how did you get to where you’re at today? I started out wholesaling Real Estate. I actually sold my 1st property on Instagram and made $6000 from a house I did not own and never seen in person. I continued wholesaling until I fixed my credit then I started to rehab properties using hard money loans and Investors Cash. I also obtained my Real Estate License. That’s so cool! What happened next? 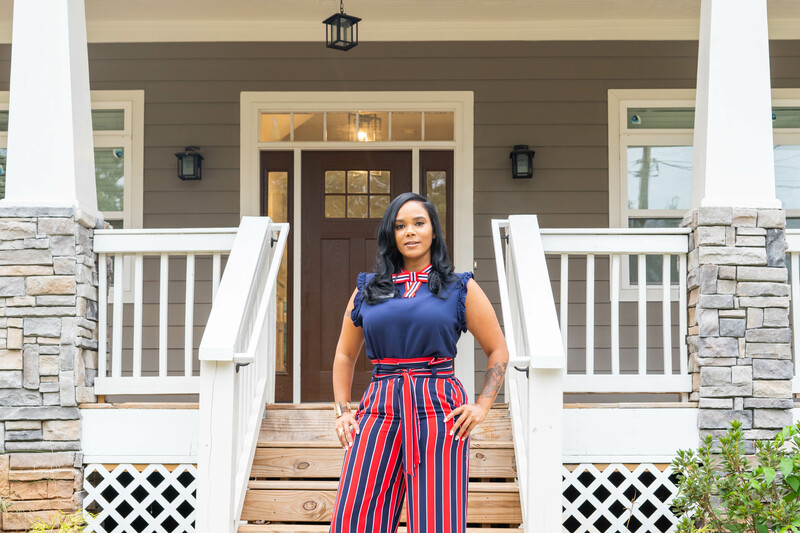 I purchased 2 properties that were supposed to be rehab projects with me adding square footage but they both turned out to be complete new construction. These projects were a complete disaster. I had to fire all of my workers including the GC. I had zero knowledge of building new construction but I was in too deep to quit so I jumped in and learned as I went along. I pulled my own permits, hired my own workers and managed my own projects. My investors all ran off on me. I had to figure out how to keep up the hard money loan payments which were $3300 & $3800 each! One of my investors who was a close friend even came back and tried to take one of the properties from me! Everything that could’ve gone wrong did! But I made it through. Great to hear you made it through all of that. So, what did you learn from that? I learned how to build new construction, pull my own permits and manage my own projects. I also learned the importance of protecting myself in investment partnerships. I basically learned everything needed to never make those same mistakes again. You really are self taught wow! What did that lead to next? These experiences led to me starting my company “Investor In Heels” which focuses on me teaching with Women like myself how they can get into a male dominated business and be successful. Not only do I share my success in real estate but more so the failures and how to avoid them. It also led to me writing a digital E-Book on how to Wholesale Real Estate without using your own money or credit. Thank you so much for sharing your story Janeen! Any last words of advice for readers? Jump in and get started! You will make mistakes but you will get through it. Get with a good Mentor who can show you the ropes. Ask questions and find out what mistakes they have made in the past and how they made it through.